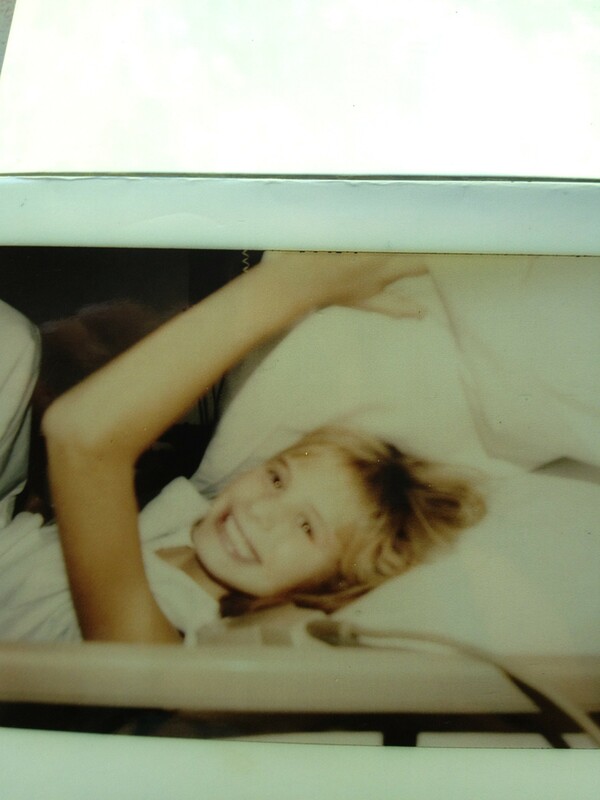 The picture above is me during my last week or so in the hospital following my hysterectomy in 1983. I had escaped out of the valley of death. That smile across my face gives no indication of what had just happened but speaks volumes to the God-given resilience of children. This is the only time I have come close to death. I was in the dying process before the doctors and surgeons decided to perform exploratory surgery as an effort to find out what was happening to me. I learned of this detail about two to three years ago. I knew I was extremely ill but no one ever told me that I was literally dying. Following this disclosure by the doctor who performed my surgery, I sat there quietly with tears rolling down my face. I was so close to death as a child and never knew it. I grieved at that moment for my parents, family, medical staff, and for myself. Yet, the tears that streamed down my face were not just of sadness, but also of joy over the revealing of His wisdom that flowed through the doctors’ hands and of His mercy that kept me alive. I was in a Christian youth singing group called “The Sweet Spirits” for the first few years following my hysterectomy. The musical director specifically picked my solo to be a rendition of Psalm 23. My mom and other familiar adults got tearful when I sang this song. How apropos this song was. I had truly just walked through the valley of the shadow of death just a year or so prior. From time to time, this Psalm flows through my thoughts and I find myself reciting it for days. It is rather morbid to think about walking through the valley of the shadow of death. However, as a Christian, it is comforting to know that the valley of death precedes the glory of His Kingdom. I have been thinking lately though that we are in some way always in the shadow of death. One wrong turn, one missed step, one random act, one diagnosis…the list goes on. I want to start living as though I am in the shadow of death, but I don’t want that to be my focus. I guess what I’m trying to say is that I do not want to take moments for granted. More importantly, I hope to live for His Kingdom and for the promise of eternal life in Christ. There are many things that have died within me along this journey to Heaven. Old habits, lack of trust, thin faith, and disbelief…all of these have passed away so that I can truly have life in Him. The awesome thing about living a life of faith is that when things get difficult, or when the shadow of death seems to be getting closer, one can always look to the Lord and see His mercies through it all. Lord, help me to see Your mercy not only when I am in the valley of death, but also when my cup runs over, when I am in front of my enemies, when the pastures are green and the water is still, and when my eyes are eternally fixed on You.